Neelas Home Ltd has started its journey in 2009 as a sole operation and subsequently became a private limited company on 2011. From the beginning, Neelas Home Ltd has grown doubly, year-on-year – introducing best in class products from south east Asia with a high level of after sales customer care. 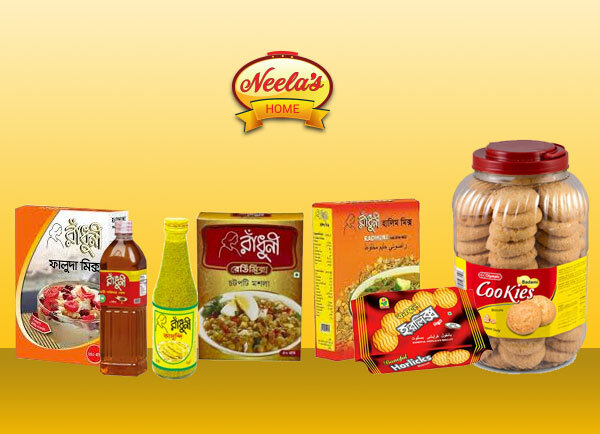 With the promise of bringing the experience of a real curry taste into Britain, Neelas Home Ltd has gradually enlarged its portfolio by expanding into snacks, appetisers and culinary enhancers over the years. Today, the company is one of the top distributors for Bangladeshi food products and its director was recently recognised as ‘Best Business Woman Entrepreneur of the Year’ with an award presented by the former British Prime Minister, David Cameron, at the British Bangladeshi Business Award 2015. From a deep passion for cooking and knowledge on spices, Mrs. Neela taught and explored novel techniques of food preparation from her own cooking school in Bangladesh. Amid a very difficult economic downturn in 2009, she opened Neelas Home as a sole venture to import quality spices from Bangladesh. Due to her strong strategic intent, commitment and hard work, it took no time for her company to become a market leader. Before being awarded with ‘Best Business Woman Entrepreneur of the Year’, former British Prime Minister, David Cameron commended Neela’s entrepreneurship by pointing out that despite opening Neelas Home during a recession, Neela had the vision to propel her business against all odds, noting it as a ‘fantastic inspirational success story’. Mrs. Neela was also included in the 2016 publication of the prestigious British Bangladeshi Power and Inspiration as one of top hundred inspirational Bangladeshi individuals under ‘Entrepreneur’ category. An active member of the wider community, Neela is also a Fellow of the Royal Society of Arts (RSA) and Director of UK Bangladesh Catalyst of Commerce & Industry Business (UKBCCI). She is also a member of South-East London Chamber of Commerce, Federation of Small Businesses and Women’s Unlimited. Bulbul is a highly-experienced sales professional who worked in various multinationals both in Britain and in Bangladesh. His passion for food started in the beginning of his career in Nestlé – the world’s largest food company* and a Fortune Global 500 – and later moving to Reckitt Benckiser as Regional Manager. During his 13 years long career, he has garnered massive experience in sales and management. In Neelas Home Ltd, he leads operations – working with his team to expand. He is always keen to push beyond the boundaries by bringing creativity and insight, while at the same time using his corporate experience to execute strategically.